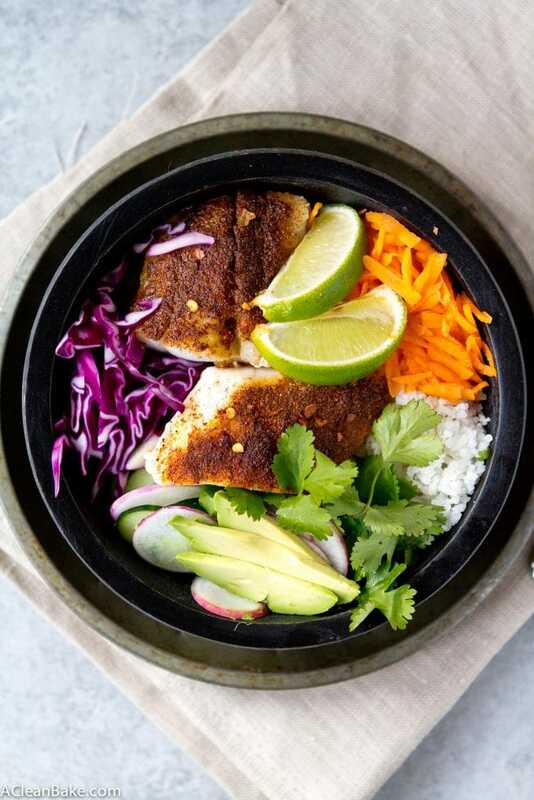 An unexpected twist on a favorite, these fish taco bowls are served on a bed of coconut rice instead of on a tortilla. They’re fast, fresh and delicious! After the absolutely shameful excuse for a recipe on Tuesday (Rice + water + a can of goop?! Oh but if you tried it, you know that it tastes like SO much more than that.) that, incidentally, turns out some of the most addictive and comforting rice you’ll ever eat, I am here today to justify my perceived laziness with one of my favorite uses for – no, wait, let me rephrase that: the best reason for making – that rice. 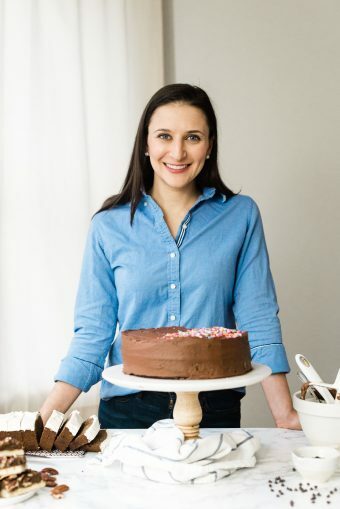 As you already know, for a really, really long time I couldn’t so much as look at a grain or carb without doubling over in abdominal pain, but after a few years of healing and elimination diets, that slowly started to change. 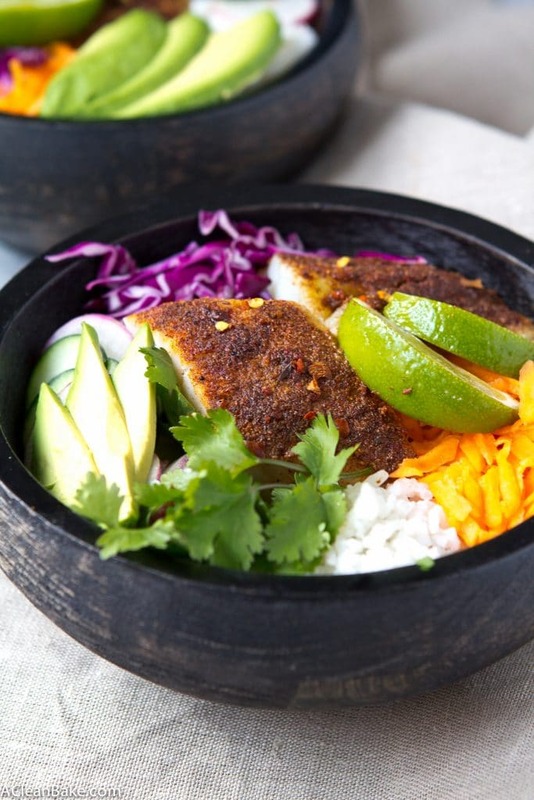 White rice was the first grain I was able to re-introduce, so a lot of things became “bowls”. They’re easy and versatile and a close second to tacos which are, it has been scientifically proven*, the best food ever. So feel free to make these for dinner tonight, or every night, whether or not you can have tortillas. Tonight is not the night for proper taco-ing. 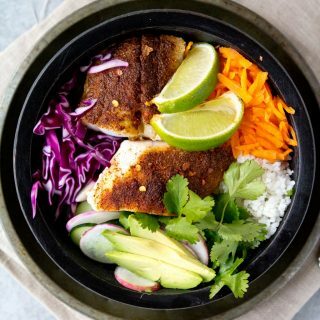 An unexpected twist on a favorite, these fish taco bowls are served on a bed of coconut rice instead of on a tortilla. They're fast, fresh and delicious! Preheat the oven to 350F. Line a baking dish with a nonstick pad, or lightly grease. 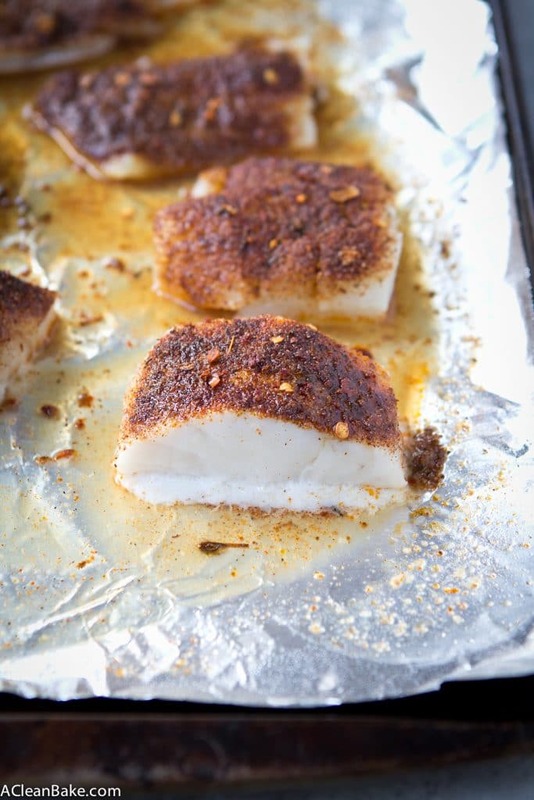 Place the cod fillets on the prepared baking sheet and drizzle with olive oil. Divide the jerk seasoning among the cod fillets. Bake the cod until the white fat starts to ooze out, approximately 10 minutes. The timing will vary based on the thickness of your fillets, so watch closely. 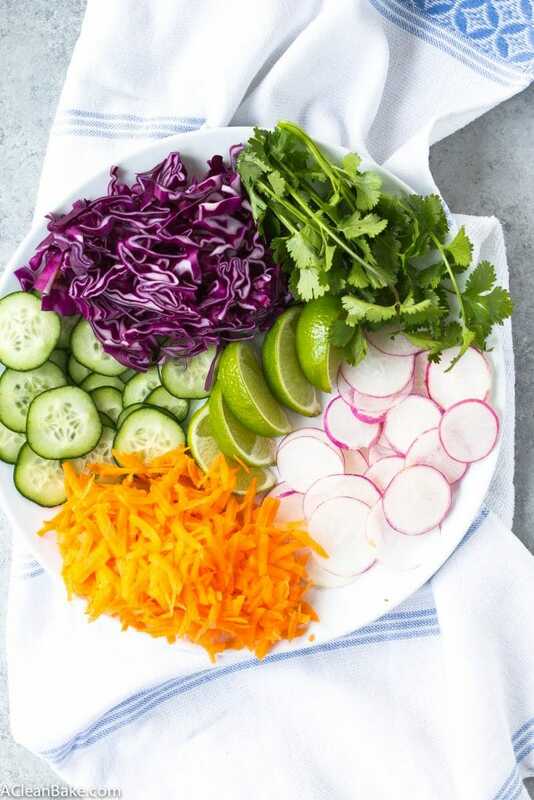 Add a layer of rice to each of the bowls, then arrange the fish and vegetables on top. That's it!